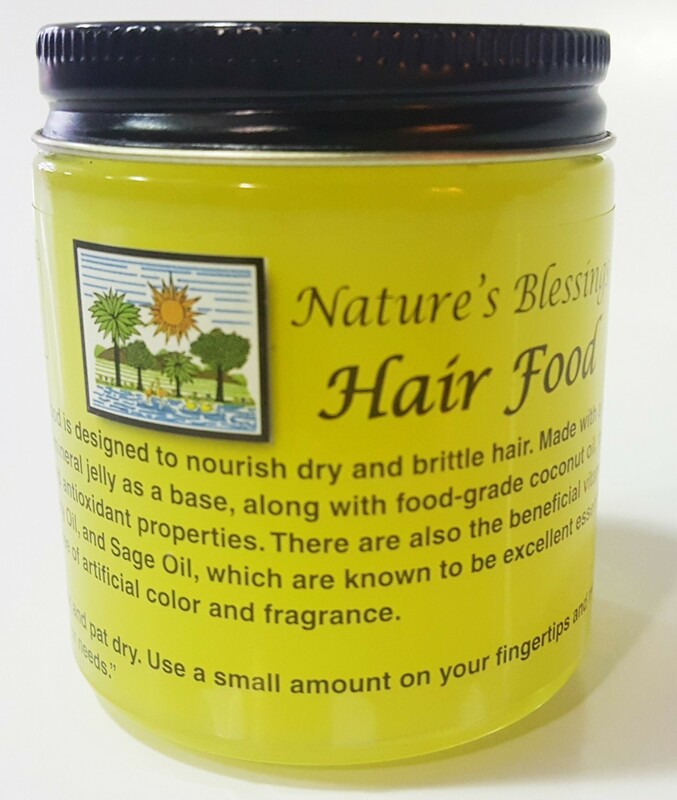 Nature's Blessings Hair Food is designed to nourish dry and brittle hair. Made with a vegtarian formula and good intentions, we have added mineral jelly as a base, along with food-grade coconut oil, food-grade safflower oil, and turmeric for its anti-inflammatory and antioxidant properties. There are also the beneficial vitamins A, B5, and D3 as well as African Argan Oil, African Rosemary Oil, and Sage Oil, which are known to be excellent essential oils for healthy hair. Use this formula assured that it is free of artificial color and frangrance.